Lehighton Area School District selected Quandel Construction Group as their Construction Manager to oversee their Building Improvement Program. The District’s program includes renovations to their existing 103,000 square foot Middle School and 144,000 square foot High School. The scope of work includes replacement of the HVAC system in both schools with energy efficient water source heat pump systems, interior and exterior lighting improvements, roof and building façade removal and replacement and interior renovations. The combined, estimated project cost for these projects is $22.4 million. Construction is slated to begin in the summer of 2015. The Lehighton Area Elementary Center is a new 142,000 square foot building to house the District’s elementary students. The estimated project cost is $32.5 million. 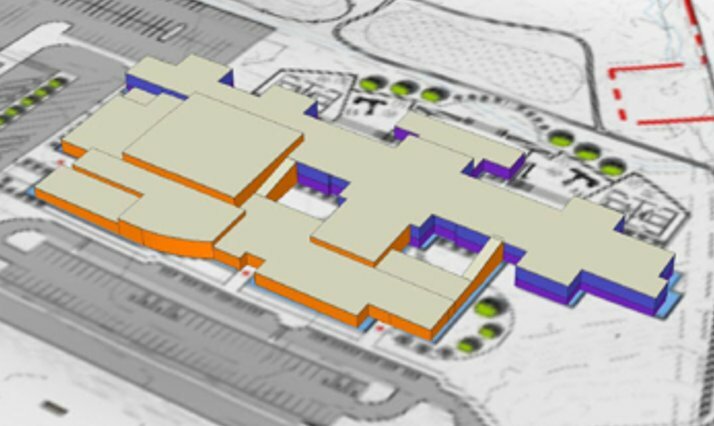 Construction of the New Elementary Center is anticipated to start in late fall of 2015. All three projects are being designed to achieve LEED Gold Certification. In addition, the District has received a High-Performance Green Schools Planning Grant, which will partially offset construction costs. Elementary School | 142,000 Sq. Ft.
Middle School | 103,000 Sq. Ft.
High School | 144,000 Sq. Ft.